Earnably Review: Is this Site Legit or Another Scam? As many of you know I’m a huge fan of making extra income online. One brand new site I found that can help with this is Earnably. Earnably is what I consider a “Paid to Do” site. This means you can earn cash for completing surveys, offers, watching videos, and much more. Please understand that Earnably and other reward/paid to do sites will never be a huge income, they are what I consider extra income sites. If you’re serious about making a full-time income online don’t even mess with these sites and check out My #1 Recommendation to learn how I made over $13,000 online last month! 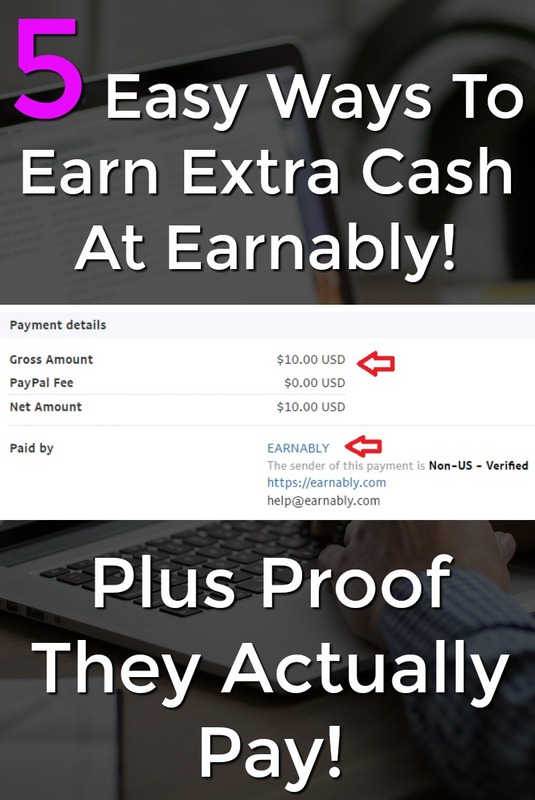 In this Earnably Review, I will answer is this site legit or a scam, along with covering all the ways to earn, what rewards are available, and how to earn even more with Earnably! Joining is Free and super easy. Just enter your email and password to get started! Start taking surveys, watching videos, completing offers, and more to earn points. As you earn some points you can exchange these points for gift cards to sites like PayPal, Amazon, and many more! In this Earnably Review, I gave them a pretty good score and marked it scam free. Overall this a newer paid to do site that’s pretty good. It does have a few different ways to earn, but I’m sure more will be added in the future. I really like that they pay via PayPal and payments are fast. I think as this grows the site will continue to improve, for now, you’ll be joining a pretty good site that’s scam free! I cover how Earnably pays a bit later in this review, but I do want to show you that Earnably is legit and actually pays! You can see that I cashed out a $2 gift Card and was paid via PayPal! Earnably does offer a few different ways to earn points. I’ve covered all of them below. One thing to notice is most ways to earn are provided by third party companies. This really doesn’t make a difference and does give you more earning options. In this section you’ll find free and paid offers. Free offers consist of signing up for free membership sites and filling out forms. These won’t cost you a dime and usually pay from 50-100 points each. The paid offers usually consist of purchasing a product or signing up for a free trial. These pay more, usually between 300-500 points, but do require you to spend money or at least give out your credit card information for a free trial. If you’re going to sign up for a free trial make sure to cancel your trial before your card is charged! Earnably has 5 different companies that offer surveys listed. They tell you what the survey’s about, how long it will take, and how much it pays. Most surveys pay between 50-150 points and take between 10-30 minutes to complete. There’s some that pay more, but take longer. Earnably has 3 different companies that offer paid videos. All you need to do is click on the video and watch the whole thing. The process differs a bit with the different companies, but basically most pay between 1/2-1 point. Usually, videos are 30 seconds to a minute. One option shows longer videos, around 2 minutes or so. Some of you may have seen my review of Radio Loyalty. If you’re going to use Radio Loyalty I highly recommend using it inside a site like Earnably where you earn points outside of Radio Loyalty. Basically, click the link and a new tab will open. For every 10 minutes of radio you listen to, you’ll earn 1/2 a point. You will have to enter a code every 10 minutes so you’ll need to at least be around the computer to actually earn points. In this section, you’ll find sites that pay you to complete small tasks. These usually have to do with filling out a form or visiting a website. The payment for these are small, but they’re very easy and only take a moment to complete. 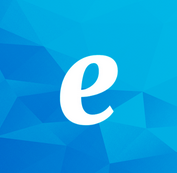 Earnably lets you exchange your points for gift cards. As of now, they have gift cards to PayPal, Amazon, Spotify, iTunes, Storm, and World Of Warcraft. Both PayPal and Amazon gift cards start at $2 for 225 points. They also have these gift cards in 5, 10, and 20 dollar amounts that are less points. For example, a $20 gift card is 1850 points. Once you reach a rewards amount you can cash out at anytime. PayPal payments will be in your account within 48 hours and gift cards are sent directly to your email. Earnably now offers PayPal payments, 20 different gift card options, and even Bitcoin payments. Earnably is an extremely new site, there’s not much feedback on the site yet, but there’s one thing that concerns me a bit. I’ve been using this site quite a bit over the last few weeks before writing this review and haven’t had any problems, but on other sites I’ve found when offers and surveys are hosted by other companies sometimes you’ll have problems getting credit. They seem to have everything in line as of now though. Like I said I haven’t had any problems, but hopefully as the site grows you’ll see some offers and surveys actually provided by Earnably! Earnably does offer a referral program. You’ll earn 10% of your referrals lifetime earnings. Your referral will also get 100 extra sign up points just for joining with you. They give you easy to use social media buttons to share, your own referral link, and the ability to invite people via Facebook. The referral program is an easy way to make some extra cash and the best part is people earn points for you! First I’d like to say you do not need a premium account to earn and get paid by Earnably, but it will help you earn more points over time. Here’s how it works. To become premium it’s a one time fee of 500 points. You don’t have to pay actuall cash to become premium. Just exchange your point and you’ll become premium. As a premium member you’ll get a 10% earning bonus, no ads on the sidebar, priority support, and payments are processed faster. Really it’s a decent deal if you’re going to use this site a lot. Over time the 10% bonus will easily pay itself off. Earnably has a few bonuses that can earn you some extra points. I’ve listed them below. As you can see, these tasks are pretty easy. The first 3 are extremely easy and anyone can do them to earn some extra points. The video and blog post will take a bit more time, but for bloggers this should be an easy way to reach your first cash out without even taking a survey or completing an offer! Eanably does hold monthly contests where they reward the top 3 earners and refers with an extra 500 points. Most of you will be able to contest for the top 3 earners, you’ll just need to use the site a lot and earn a bunch of points. To be honest, the top 3 refers is not going to apply to many of my readers, because although you can invite your friends, you don’t have a great way to get a ton of referrals. You’ll need over 100 referrals a month to win any contests, so this is not achievable for most. But if you’d like to see how I can achieve this check out how I make money with this website and get a ton of referrals on everything I review! I have to say that Earnably is not a scam. I haven’t been paid by the company yet, but after I do I’ll update this review. I have seen proof of others being paid though. Earnably is still a very new site, so there’s room for improvement, but overall this is a good paid to do site. I like they offer many ways to earn and PayPal payments start at $2. I hope to see some ways to earn provided by them instead of third-party companies in the future, but as the site grows I’m sure that will be the next step! If you’d like to learn more or to earn 100 sign up points when you join visit Earnably Sign Up. Once you’re signed up enter the promo code: FTJFH5 to earn a 5% bonus for 5 days! If you’re already a member, you joined a scam free site and should be happy with the site! Since Earnably is still a new site I didn’t give it a really high score, but it’s still scam free. 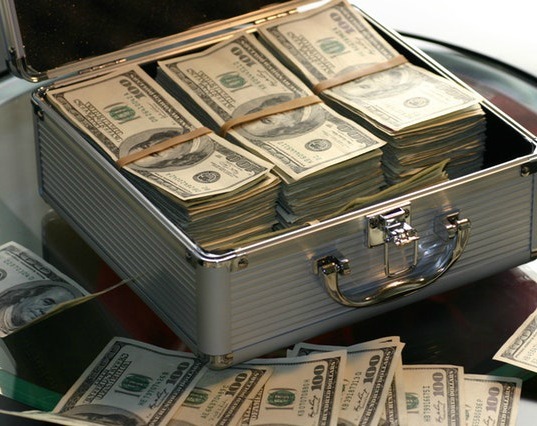 If you’d like to see the sites I rank over Earnably, head to Scam Free Extra Income Sites. Tired of making small chunks of change on the internet? Check out My #1 Recommendation to learn how I made over $13,000 online last month! Think Earnably’s a scam? Have proof it’s legit? To add information to this Earnably Review please leave comments below!